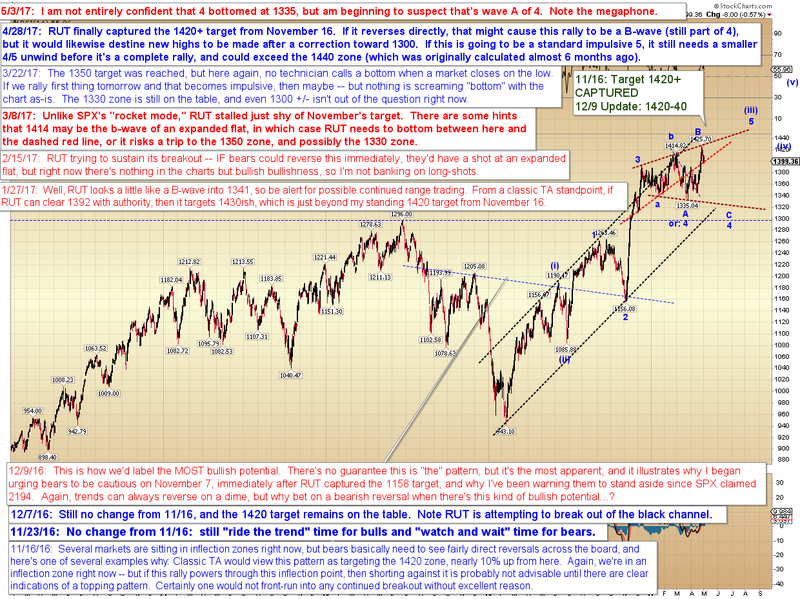 Pretzel Logic's Market Charts and Analysis: SPX and RUT: Bears Gaining Traction? 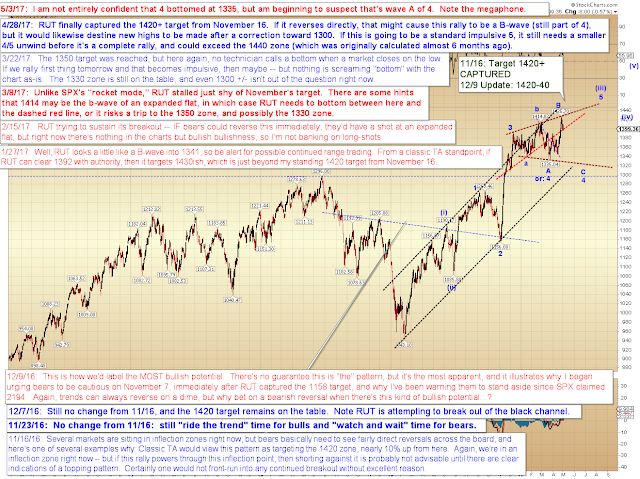 SPX and RUT: Bears Gaining Traction? Last update showed the projected short-term path for SPX, which was expected to rally to 2394, then reverse and head back south of 2382. 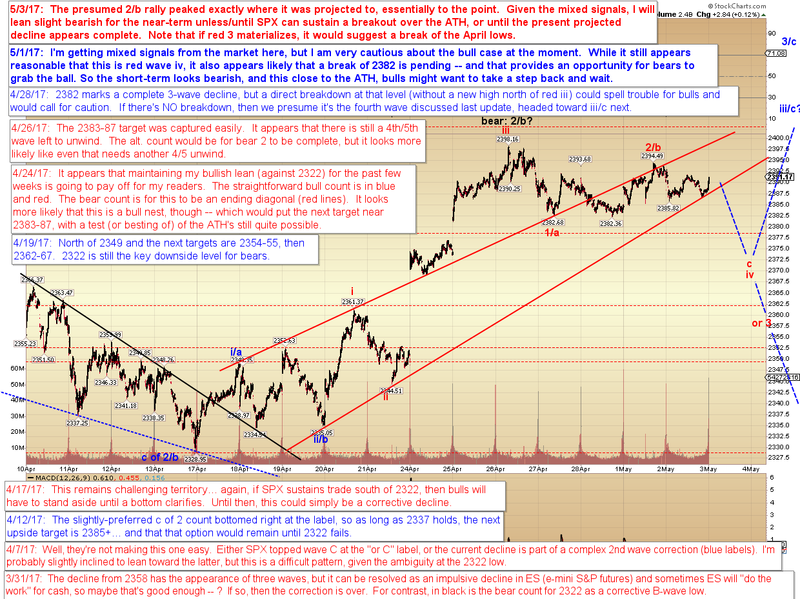 While we haven't broken 2382 yet, the market reversed from 2394 perfectly, and has followed the projection well so far. I'm becoming increasingly concerned that this rally is indeed a larger B-wave (for a more complex larger fourth) and thus that SPX could head toward the 2300 zone. 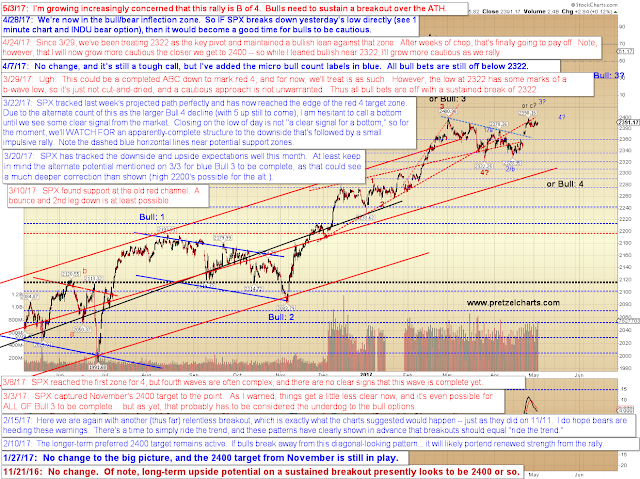 Bulls need to sustain a breakout over the all-time-high to put themselves in better shape. 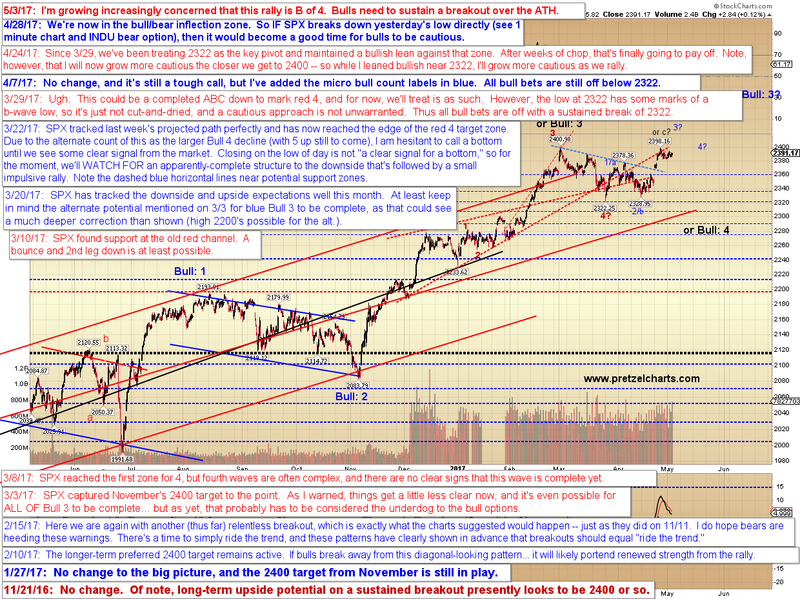 The bigger picture is thus still up for grabs at the moment. 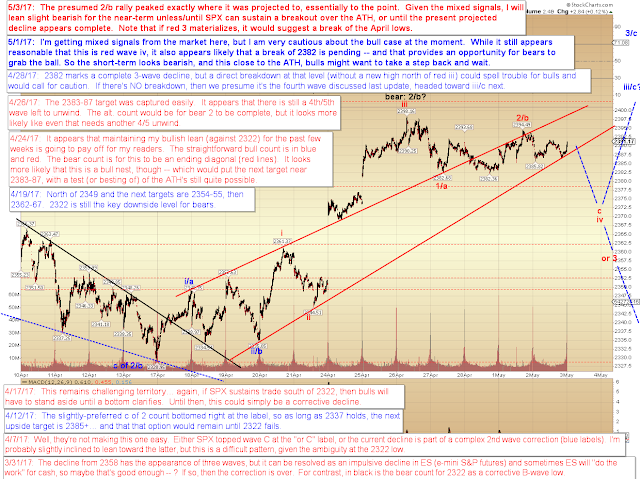 Note that longer-term, this would still be a fourth wave correction, and thus ultimately bullish. But near-term, the correction could get a bit scary for bulls, and personally that's not the type of drawdown I'd be willing to take. In conclusion, I've grown more inclined to think that we'll see a near-term bearish move here, to create a more complex fourth wave. If bulls can sustain a breakout over the all-time-high in SPX, that would give them more breathing room. Trade safe.